With impressive waterfalls, extremely lush vegetation, steep green volcano mountains. Exotic scents, scenic villages and dreamlike bays – Grenada, also known as Spice Island, is very enticing. Apart from the main island, the islands of Petit Martinique, Carriacou as well as several smaller islands belong to the island state of Grenada, member of the British Commonwealth, with little more than 100.000 inhabitants and the capital of St. George. There is an backlog demand for Grenada as a charter beat, albeit it’s hurricane-proof position, but the first charter companies have already based their yachts here, marinas were and are being extended, new marinas meet the highest demands in comfort. Since February 2008, the Grenada Classic Yacht Race is held in February on a yearly basis. The Yacht Charter tourism mainly focuses on the Southwest and West of Grenada. Ports of entry are the main capital itself, Spice Island Marina in Prickly Bay, Grenada Marine Marina in St. David’s Bay and Grenville as well as Hillsborough on Carriacou. The centre of the yachting sport is St. George’s Harbour. The town with its Colonial flair is one of the most beautiful in the southern Caribbean. The old dock area Carenage with little pastel-coloured houses, buildings in the Colonial style or “York House”, the seat of parliament lures with typical West Indian charm. Picturesque are also the markets – above all the one for fish and spices, smelling of nutmeg, cinnamon, cloves and other aromas. And of course you can enjoy excellent Creole cuisine in the local restaurants. St. George’s is also the best starting point for a sightseeing tour of the island. Anchoring is possible in the large bay of St. George’s especially in the lagoon in the South of the bay; anchoring is prohibited in Carenage. But while there hardly used to be any alternatives in former times, new marinas enrich the offer for charter sailors considerably. The modern marina of the Grenada Yacht Club, directly in front of the town, offers all services right up to laundry and Internet services. The Immigration Office is located near the marina of the Grenada Yacht Services to the East of Carenage. Port Louis Grenada has been designed as a holiday resort on the lagoon – with hotels, apartments and a new yacht harbour, which has been dimensioned for super-yachts of up to 295 feet length. To the Southeast of the capital lies Grande Anse Bay, the most beautiful bathing beach of the island. However anchoring is absolutely forbidden here – besides, a general anchoring restraint in a distance of less than 650 feet from the shore is in place in the whole of Grenada. After you’ve rounded Saline Point, the southwestern tip of the island and position of the airport, one enchanting bay follows the other along the southern coast of Grenada. Often little islands and reefs lie offshore, but thanks to the buoyage navigation isn’t problematic. In True Blue Bay, there is a small marina with a charter base as well as a hotel complex and restaurant. Here you’ll lie quietly at the jetty or on mooring buoys and can enjoy the perfect Caribbean sunset with sundowners. In Prickly Bay, also called Lance aux Epines, and the neighbouring Mt. Hartmann Bay / Secret Harbour there are three yacht harbours by now: Spice Island Marina, Prickly Bay Marina and Martin’s Marina offer lots of moorage and mooring buoys and a dreamlike ambience. Behind Hog Island in Clarkes Court Bay, the same-named marina awaits you, naturally with a dockside bar. Le Phare Blue, a resort with a marina founded by Swiss, flourishes in Egmont Bay. 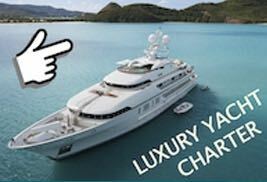 And last but not least “Yachters” will find everything they or their boat requires, starting from mooring to a restaurant or internet café, also in the Southeast in St. David’s Bay near Grenada Marine. Yacht Charter crews, attempting to go from Grenada to Caariacou, like to make an anchor- stop in Halifax Harbour, an anchor-bay in the West of Grenada with palm trees and trees all the way up to the shore. Beautiful anchorages are also to be found off Saline Island and in Ile de Ronde – both lie with many small and tiny islands between Carriacou and Grenada. 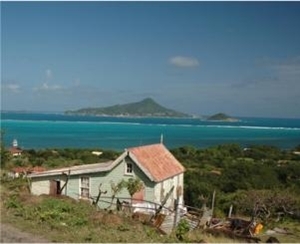 The name of Carriacou dates back to the Arawak-Caribs – they called the island “the land surrounded by reefs”. On the whole of the east side and in the South of the island reefs are located offshore. On the west coast Carriacou boasts one thing above all: gorgeous beaches. The approximately 6000 inhabitants live largely on all the land has to offer (in former times there used to be large cotton fields and sugar cane plantations), fishing and increasingly on yachting tourism. In the little village of Windward, sailing boats are still being built following old traditions that have been passed on by immigrated Scots. In summer these boats take off during the hugely celebrated Carriacou Race. The dinghy can be berthed at the pier. Hillsborough Bay opposite Sandy Island is an idyllic day-anchorage with palm trees on a picture-book beach, crystal clear water and a reef with a great snorkelling area. At night, its better to lie in Tyrell Bay in the Southwest of the island – there are also two marinas. To the North lies a lagoon, the Carenage: this mangrove-lagoon is protected as a nature preserve, only in immanent danger of hurricanes can the outer area be touched at. The Carriacou Yacht Club in Hermitage offers good mooring as well. Petit Martinique, bordering directly on Saint Vincent and the Grenadines, has a long seafaring tradition. The inhabitants mainly live on fishing, boat building and services or go to sea as crewmembers. All necessary amenities for yachts are offered by a small marina.